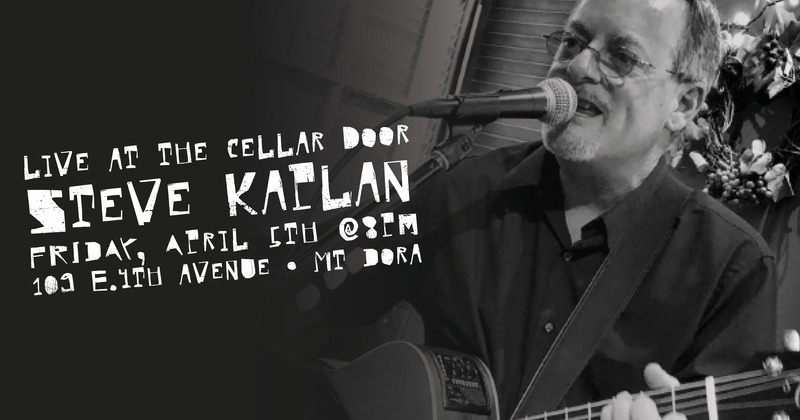 The spunky, funky Steve Kaplan is at The Cellar Door tonight bringing his special brand of fabulous musical entertainment to delight the masses. We’ve got the wine in the fridge, the beer on tap, and Steve on our stage. Just add yourself to the mix and enjoy!